I was four or five years old when I began pestering my dad for a cat. Every night, when he came home from work, I would beg him to buy me a white cat (why white? Who knows!). I don’t know how long I kept the tirade up and I don’t know how long it was before it had enough of me… all I know is that one cold December night, when he rang the door bell and I opened the door, a small ginger ball of fur was at his feet. 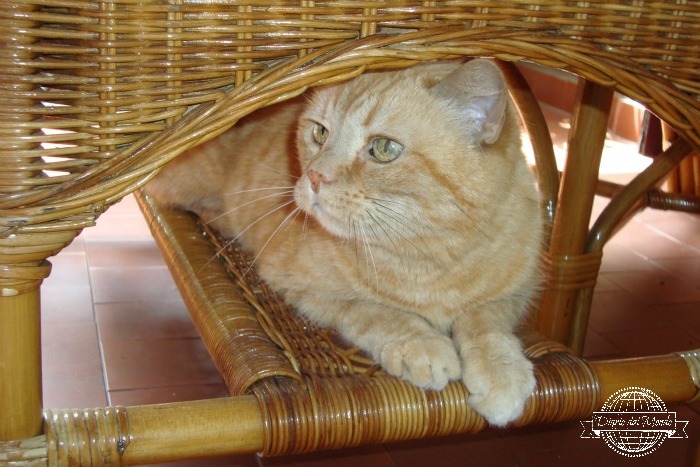 Natalino had entered into my life and would remain by my side until January 2012, when he passed away at age 18. I’ve spent all my life with a cat, and although I’ve also always wanted a dog to play with in a more conventional way, I’ve come to appreciate cats’ independency and narcissism. You can’t buy a cat’s love and if you mistreat him, you’ve lost his trust forever! Cats are stubborn and autonomous, and I love them for this! Naturally, when I moved to Australia I couldn’t wait to have another fur ball in my life, but the time wasn’t quite right. Firstly we were living with the in-laws and, despite my best efforts, they never surrendered to my pestering like my dad did. Then, when we were finally living by ourselves, we had to deal with landlords’ restrictions on pets: indeed, Australia is very progressive in many ways, but when it comes to allowing tenants (or even homeowners in some cases) to have animals, it’s still in the dark ages! And so we had to wait until we bought our first apartment before we could (after asking permission from the strata manager of course) have a little bundle of furry joy all for ourselves! 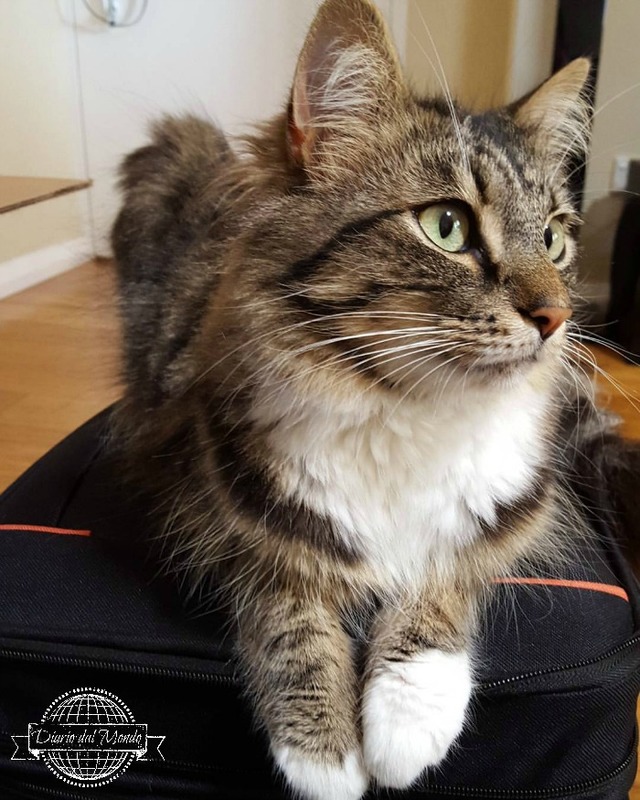 Living in an apartment and with many trips planned already, we thought a cat would fit our lifestyle better than a dog. And so a cat it was! But where to get it from? One thing I knew: I would never buy a cat from a pets’ shop… I don’t judge people who do, but for me it’s cruel. And so I looked at shelters and similar, and when I eventually came across the Cat Protection Society, I knew I had found the right place. The Cat Protection has been operating since 1958, as a small group of people dedicated to reducing the number of stray cats by desexing and finding loving and responsible homes for street cats. And that’s exactly what they’ve been doing ever since. Cat Protection is a no-kill shelter, which means that every cat that enters theirs doors will stay there until s/he finds a home: kitten, adult or old that s/he may be. Before adopting I visited the shelter a couple of times, and each time a vet nurse took her time to show me around and to enquire about my love for cats. It was love at first sight with the place! Downstairs there is a play area where all the healthy kittens play during the day and it’s here that as a potential adoptive family you meet the kittens and pick the right one for you. Needless to say I could spend all day here playing with the little ones… Upstairs instead they keep the adult cats, each in their little cage and with a play area in the middle. It’s sad to see these sweet cats, from teenagers to old ones, spending all their time behind a glass in a tiny cage… but I guess they’re the lucky ones… better to be in a cage than on the street! And they will all find their forever home, of that I’m sure! Some only take a day or two, some a year or two, but they all get adopted. In this the Cat Protection is really amazing. And so, when in January 2014 we finally decided we were ready to expand our little family with a furry baby, we went straight to Cat Protection and within seconds of entering the kitties’ pen, we had found the right kitten for us. And that’s how Bailey entered into our lives! Before we took the little one at home, the nurse told us a bit about him, how he had been found in Penrith at about 4 weeks of age, and how he had been in several foster families before being ready for adoption. He had been through so much in so little time… but his dark days were over as we were ready to give him a lifetime of happiness! And so began our life as once again cat owners. Bailey has brought us so much joy and companionship and I’m forever grateful to have him in my life. And I’m also grateful to the people who took care of him when he needed it most. And that’s why we I’ve recently decided to foster kittens for the Cat Protection. The first time was an experiment more than anything else: we all had concern about Bailey’s reactions to the kittens and to the overall experience for us… but it all went great. We had 2 siblings, a black and white boy and a dark torti girl, both about 8 weeks of age when I took them home, found in the campus of my University. They were meant to stay only a couple of weeks (*) but ended up staying almost a month due to a chest infection. Needless to say I was more than happy to have them for longer. It hasn’t been easy. Two kittens are a handful, they’re full of energy and with Bailey in the house as well, it hasn’t always been easy. But it has been a lot of fun! Of course it wasn’t easy to return them after taking care of them for several weeks. I got attached and couldn’t bear the thought of leaving them. 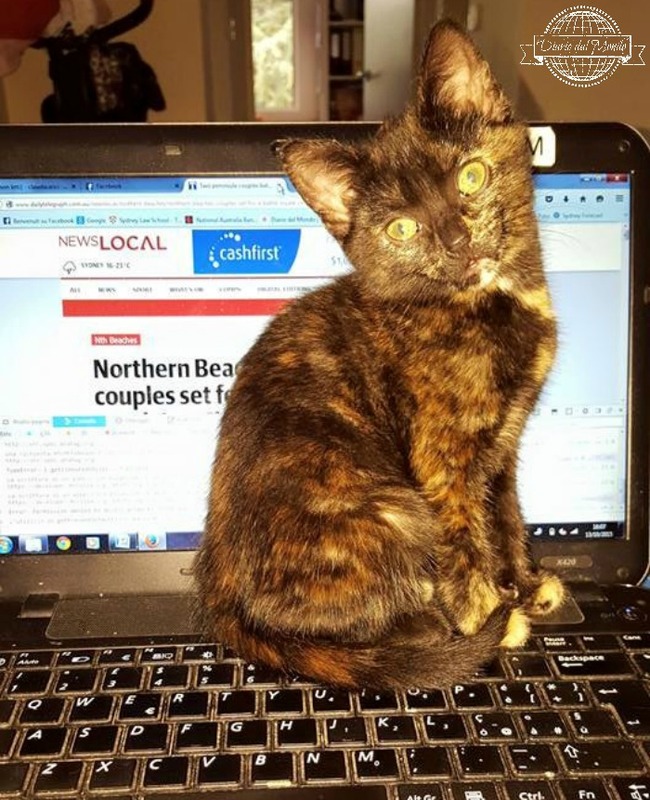 But I knew it was part of the process, I knew Cat Protection would find them great homes (which they did as soon as they were put up for adoption), and I knew that there would be more kittens in need of fostering. And so they went… I gave them the best start in life and can only hope that the people who adopted them will do the same. This is our story. The story of Bailey, Bowtie (or Bo-bo for his friends) and Daisy. 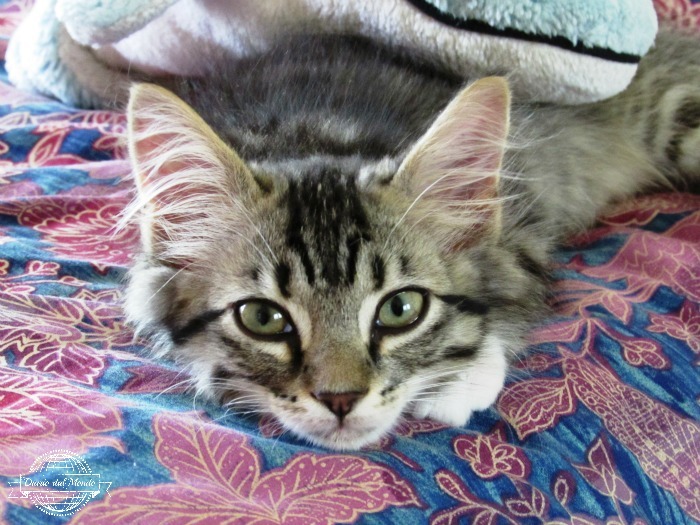 The story of 3 rescue kittens who were given a second chance by people who care. So please, if you’re looking for a companion, adopt don’t shop. ❤️🐈❤️ The only thing better than one cat… Is two cats! Trust me! Per ora noi ci accontentiamo di uno + foster kittens, ma ad avere la possibilita’, sarebbe sicuramente bello averne piu’ di uno! Sicuramente i gatti vivono bene anche in appartamento. Mia madre ne ha 2 e se la cavano alla grande, ma penso che comunque starebbero meglio in una casa con cortile. Comunque per noi che viaggiamo spesso e volentieri gia’ uno e’ un impegno, e per il momento il secondo lo mettiamo in stand-by! Ti capisco! Sotto Natale lascerò i pargoli in una cattery – $500 per una decina di giorni! Ma preferiamo comunque averne due, visto che sia io che Gideon siamo fuori per lavoro tutto il giorno 5gg su 7 – almeno si tengono compagnia!